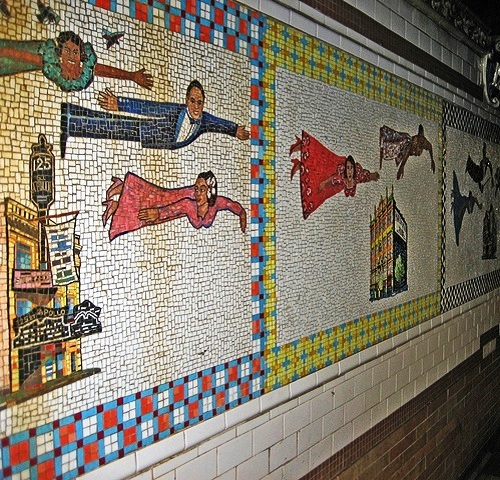 Twenty years ago New York based Argentinian artist Liliana Porter created four terracotta mosaic murals. In particular, “Alice: the way out” at the New York Metro Station (MTA Arts for Transit); 50th Station 1-9 lines (Manhattan). 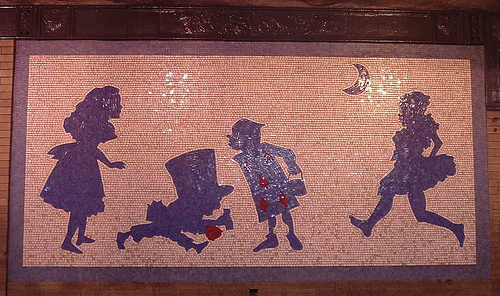 The idea of four mosaics on the walls of the station depicting Lewis Carroll’s character “Alice in Wonderland” – inspired by Broadway theaters located near the metro station. Meanwhile, Liliana Porter left to the viewer the opportunity to supplement the details of shadow figures with their imagination. However, there are reasons that limit the flight of fantasy. And these reasons are simple – the childhood haunting illustrations by John Tenniel. The trio of Dutch designers – Marcia Nolte, Stijn van der Vleuten and Bob Waardenburg create unusual art works in their studio ‘We Make Carpets’ in Amsterdam. Their carpet installations look like traditional carpets from a distance. But in fact consist of pencils and fireworks, cocktail umbrellas, plastic forks, dried pasta, and anything. 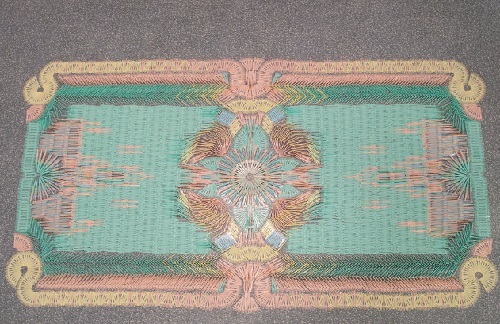 Now the trio of designers ‘We Make Carpets’ mark the fifth anniversary of joint efforts and creation of 50 artworks. In fact, Ukrainian artist Oksana Mas lives and works between Odessa, Stockholm, Barcelona and Moscow. 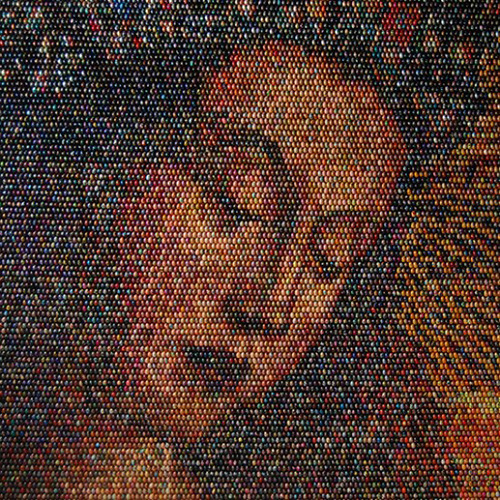 She creates incredible egg portraits from hand-painted wooden eggs in mosaic technique. 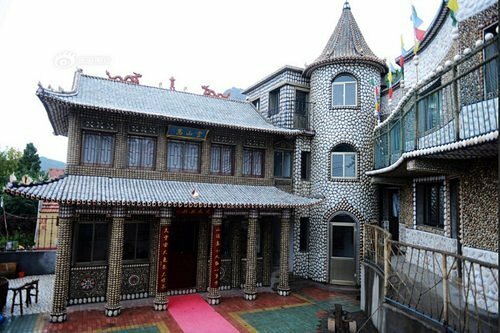 Her unique artwork of Easter egg mosaics appeared at different art exhibitions, and in particular, in the Venice Biennale. According to Oksana, she finds inspiration in traditional Ukrainian painted wooden eggs – krashenki. Noteworthy, Oksana doesn’t paint these eggs herself, they are already painted by different people to celebrate Easter, and she is just experimenting with them to create her art. So if you come close to the installation you may admire separate pieces of her creation, and the same pleasure you’ll have looking at the pictures at a distance. 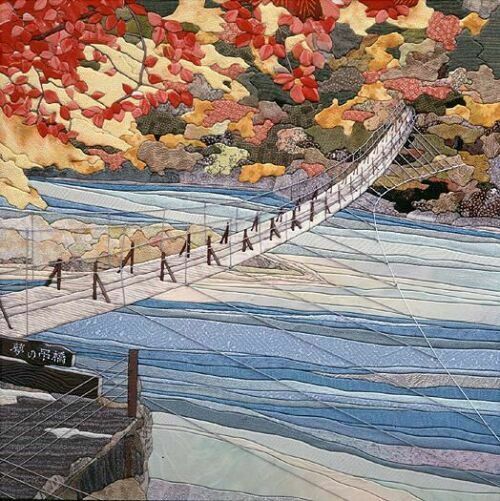 In fact, Kinusaiga art is a combination of several techniques – patchwork and batik, and even wood carving, or painting on wood with pieces of silk. 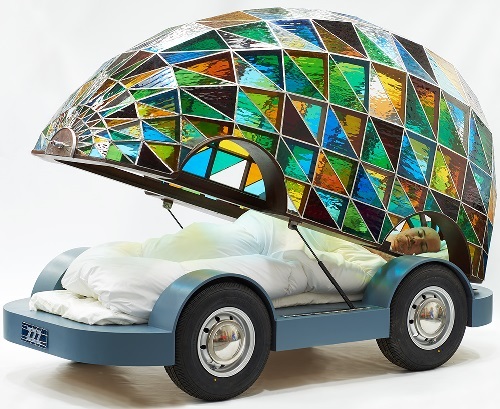 Also, the pictures – created from recycled materials. Noteworthy, the the founder of the Kinusaiga art – Japanese master Maeno Takashi, professor at the University. Her works are permanent participants of art exhibitions. Besides, she has published some books on the art, which became popular and actively sold. Kinusaiga – pretty young art, year of birth – 1987, but these pictures has already gained popularity all over the world. Japanese and Chinese Kinusaiga art is poetic, quiet, harmonious.